I'm way over due for posting a wishlist post! I've read so many amazing reviews and have been recommended a lot of books lately. This post could really get out of hand. I've decided to try my best at narrowing down my list to just three books I'm currently wishing or waiting for. Alternating between past and present, Phoebe struggles to unravel the mystery of the Rust Maidens—and her own unwitting role in the transformations—before she loses everything she’s held dear: her home, her best friend, and even perhaps her own body. The first book comes out later this week, and that is The Rust Maidens by Gwendolyn Kiste. 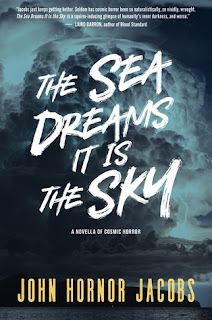 Several members of the Ladies of Horror Fiction team have already read it, and they are raving about it. It sounds like a must buy horror book for this year. 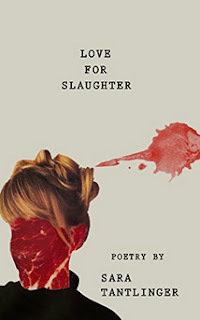 This debut collection of poetry from Sara Tantlinger takes a dark look at all the horrors of love, the pleasures of flesh, and the lust for blood. For discerning fans of romance and the macabre, look no further than Love For Slaughter. Love for Slaughter is another wishlist book I'm blaming on the Ladies of Horror Fiction team. Both Emily and Toni have been reading a lot of poetry with me this year, and they are raving on Love for Slaughter. It's quickly heading to the top of my must buy list. Having lost both her home and family to a brutal dictatorship, Isabel has fled to Spain, where she watches young, bronzed beauties and tries to forget the horrors that lie in her homeland. Shadowing her always, attired in rumpled linen suits and an eyepatch, is “The Eye,” a fellow ex-pat and poet with a notorious reputation. An unlikely friendship blossoms, a kinship of shared grief. Then The Eye receives a mysterious note and suddenly returns home, his fate uncertain. Left with the keys to The Eye’s apartment, Isabel finds two of his secret manuscripts: a halting translation of an ancient, profane work, and an evocative testament of his capture during the revolution. Both texts bear disturbing images of blood and torture, and the more Isabel reads the more she feels the inexplicable compulsion to go home. It means a journey deep into a country torn by war, still ruled by a violent regime, but the idea of finding The Eye becomes ineluctable. Isabel feels the manuscripts pushing her to go. Her country is lost, and now her only friend is lost, too. What must she give to get them back? In the end, she has only herself left to sacrifice. How does someone simply give up their home...especially when their home won’t let them? The Sea Dreams It Is the Sky is a Lovecraftian tale from John Hornor Jacobs. If I'm not mistaken, it's set in the same world as Southern Gods. I was hoping to get a paperback, but I've only seen an ebook release so far. So I really need to read The Rust Maidens! The others sound good too! I'm really hoping to read it, too. These all look chilling in their own way! Not sure I'm up for poetry, but the other two look good, especially The Rust Maidens! That one's new to me. 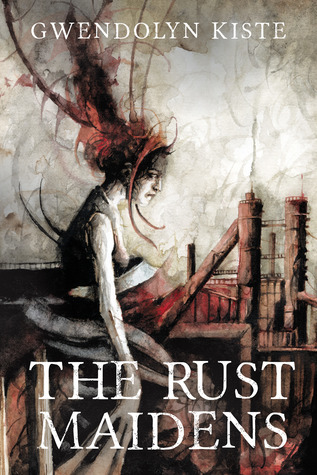 The Rust Maidens has been getting a lot of praise. The Rust Maidens sounds so good! I love when you hear rave reviews about a book from more than one source, I always get excited about that. Hope you get to read all these!